Two claimants to the Ga Mantse stool have been ruled out as unfit, a fact-finding mission into protracted chieftaincy dispute has found. Nii Tackie Oblie and Nii Adama Latse II were ruled out by the committee leaving Nii Teiko Tsuru II with an unchallenged credibility to the Ga stool. This was contained in a report presented by a committee set up by the Nuumo Wor-Lumor Borketey Laweh Tsuru III, Gborbu Wulomo-Shitse on February 19. The committee was originally chaired by the late Justice Cyril Richard Arthur Crabe (VCRAC) until his demise on September 7, 2018 forced a replacement. Justice Mrs Julia Naa-Yarley Sarkodie-Mensah who took over the leadership of the 17-member committee has completed and presented its report. 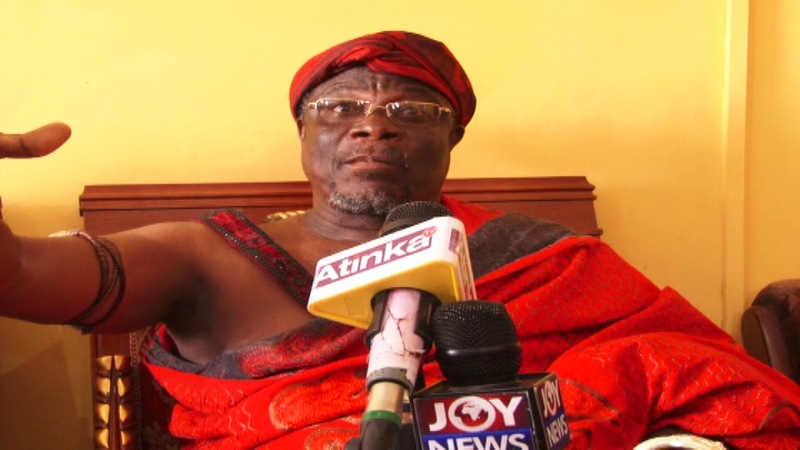 Ruling out Nii Tackie Oblie, the committee said he has disqualified himself by giving 15,000 cedis to Nii Okwei Kinka Dowuona VI, the Osu Mantse as the President of the Greater Accra Regional House of Chiefs. The money was for the President of the chieftancy body to provide “assurances to settle the long-standing Ga chieftancy dispute”, the report quoted a Friday, May 18, 2018 issue of the Weekend Crusading Guide. “We do not think that such a person is fit for the office of Ga Mantse. Indeed we condemn the action,” the report said. On the suitability of Nii Adama Latse II, the report noted a flaw that while he is a member of the Greater Accra Regional House of Chiefs, he is not a member of the Ga Traditional Council from which he could be selected to join the House of Chiefs. The report wondered how Nii Adama Latse II could be gazetted when there are issues when documents he presented attesting to his lineage. The committee found that his name Nii Adama Latse II suggest a first Nii Adama Latse. But there was never a first. The Committee also unreservedly condemned supporters of Nii Adama Latse II who forcibly broke into the Ga Stool Room, a sacred place, and damaged some properties. “Does this very act of disregarding the customary law and its usage by itself not disqualify Nii Adama Latse II from being the Ga Mantse” the report questioned. On the only remaining claimant Nii Teiko Tsuru II, the report called on the lawful Ga Paramount Stool Dzaasetse to do “what is required to move the process forward in accordance with the appropriate Ga customary law and usage”. The report said until substantive pending cases are resolved, King Tackie Tawiah III, Dr. Joe Bankson, remains Ga Mantse. There are four ruling Houses of the Ga State – Amugi We, Teiko Tsuru We, Abola-Piam and Tackie-Komey We.